What is the best cat toy? 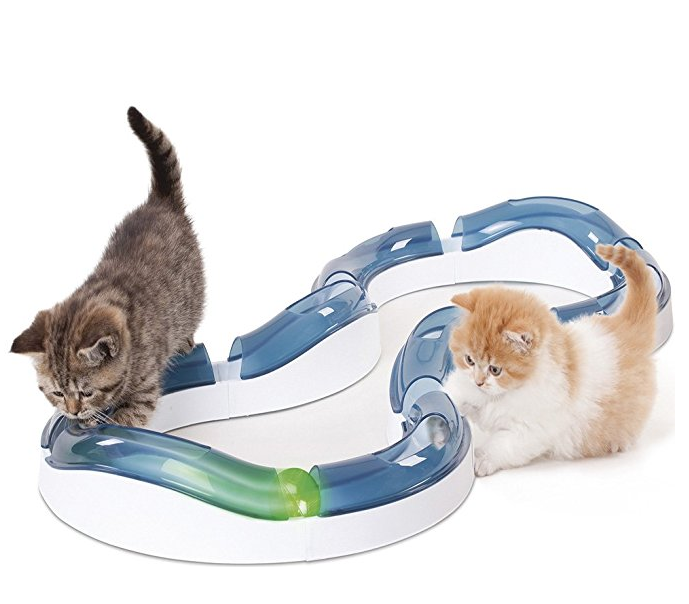 Here is a cat toy that will keep even the pickiest cats entertained and amused! With the Catit Senses Line you are helping your cat develop physically and mentally. We use all of our senses every day and it is important for your cat to do the same. Exploring their senses will provide them with the ability to reach their full potential and live a long and healthy life. Contrary to popular belief, a dog and a cat can become each other’s best friend. Is there a friendship between cats and birds? All cats hide their claws at rest, except for the cheetah. Do cats know how to heal? Short-haired cats with plush fur, specialize in cardiovascular diseases. What is Shrove Tuesday – Pancake Day? Riddle: Where would you find Monday before Sunday? When is the National Pizza Day? Riddle: Clean, but not water, White, but not snow, Sweet, but not ice-cream, What is it? Can Cats and Dogs Live Peacefully Together? How Many Dog Breeds in English Do You Know?